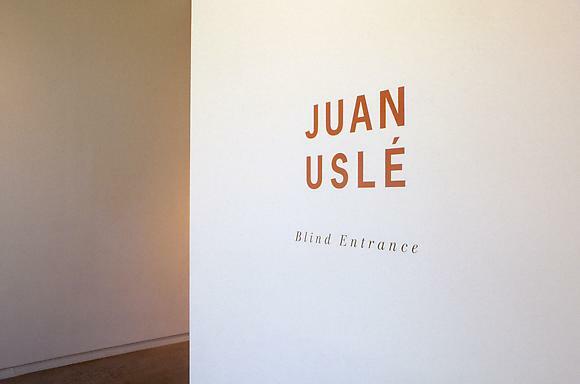 Cheim & Read is pleased to announce an exhibition of new paintings by Juan Uslé. Born in Santander, Spain in 1954, Uslé has lived and worked in New York City since 1987. Like all art today, painting now is a 'hybrid' and tends to become more and more contaminated, cut off as it is from its earlier complexes. So it resembles a dialectical, hybrid and contaminated artifact, saturated by both life and history. Painting is an appropriate means for speaking emotionally about the real things in life. And so, more than ever, today it is necessary to value it in order to place man back in nature's landscape. Landscape is a state of mind and, in this sense, painting goes beyond art. First of all painting is desire, the wish to dirty your hands. And those who undertake it have to invent new rules for themselves at every moment. Personally, I am in favor of whatever is multidimensional and has depth. Sadly this depth is tending to disappear from the scene and is giving way to the superficiality of information exchange. Painting is fairly isolated and is absent from the great events of contemporary art scenery. But loneliness is implicit in painting. And despite the constant bombardment of information, mankind, too, is alone: humanity must regain a language and an expression – which also means painting – able to generate forms of revolution and (or) resistance. We must learn once again to trust in touch, in the physical aspect, in naturalness, in permanence. Uslé will be the only painter included in the forthcoming exhibition, Eurovision, at the Saatchi Gallery in London. BLIND ENTRANCE, a fully illustrated catalogue with a text by Lisa Liebmann is available from the gallery.